Though there is no safer way to store your precious cryptocurrencies than with hardware wallets like the Treasure T or Ledger Nano S, there are still new ways to protect them. Are you thinking about protecting your Bitcoins and looking for the right solution for saving them? Ledger Nano S is an encryption safe for Bitcoin, Ethereum and Altcoins based on advanced security features that protect your virtual changes and secure digital payments. The safe is easily connected to any computer with a USB connector and thanks to the OLED display combined with the physical side button to confirm each transaction, all currency movements will be maximally safe. With Ledger Nano S, you can manage not only Bitcoins, but also other currencies with accompanying applications. Easily receive payments and check your accounts for each currency on the same device. This safe also supports the FIDO Universal Second Factor, which simplifies authentication on compatible online services, like Gmail, DashLane, Dropbox, or GitHub. Ledger Nano S is based on a dual chip architecture (ST31/STM32, Certification level: CC EAL5+). The firmware integrity is guaranteed by cryptographic attestation. Initialization or restoration of your configuration is fully done in the secure environment of the Ledger Nano S. Your cryptographic secrets are never exposed to the outside world. Hi - If I order the Nano S Crypto Wallet today when will it arrive? Can you confirm whether you can fulfill this item around 19th Jan as stated if ordered today? Or do you have a backlog of orders? Very important to know this as your customers don’t want to wait for 2 weeks for nothing and then more time for the refunds. Hi i have placed a order on the 8th Jan,but wanted to cancel my order as takes to long...how do i go about it? The digital currency, ripple, holds an ever-growing market value that competes among the most popular virtual currencies of the world. However, it must be viewed as fundamentally different than bitcoin or etherium. 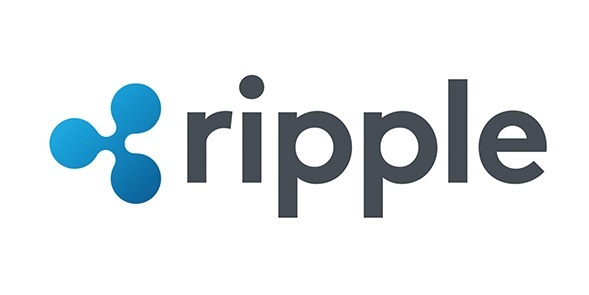 What is ripple, why does it generate so much controversy among crypto-currencies and what are its plans for the future? Find out all of this and more in our article! In today's article, we focus on a unique project called ZenCash. As the developers emphasise, this is not just another cryptocurrency, but rather an expandable a private platform based on blockchain technology, which goes significantly beyond mere transactions. What is its uniqueness and why is ZenCash worthy of your attention? Read the answers in our article! Für Versand nach Deutschland, besuchen Sie bitte Ledger Bitcoin Wallet Nano S. Chcete doručit zboží do Česka? Prohlédněte si Ledger Bitcoin Wallet Nano S. Chcete doručiť tovar na Slovensko? Prezrite si Ledger Bitcoin Wallet Nano S. Für Versand nach Österreich, besuchen Sie bitte Ledger Bitcoin Wallet Nano S. For shipping to the United Kingdom visit this page Ledger Bitcoin Wallet Nano S. Magyarországra történő kiszállításért tekintse meg ezt a termékoldalt: Ledger Nano S Bitcoin Wallet.